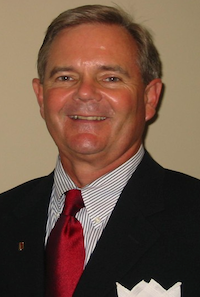 Michael Noland began his career in the financial services industry in 1973 and founded Integrated Financial in 1983. Through good fortune and much effort, he has attained some of the highest levels of success in his profession, earning membership in the prestigious Million Dollar Round Table (MDRT) Top of the Table and International Forum. His expertise led him to serving as a guest instructor at the University of Tulsa. He has served as either the president, officer, or board member of many of his profession’s most respected professional organizations. Currently, he is a member of the Board of Directors of the National Association of Estate Planners and Councils and President of the Tulsa Estate Planning Forum. Michael is an AEP®. This is a graduate level accreditation in advanced estate planning. Michael is a graduate of The University of Tulsa with a degree in Economics. He holds three professional designations and has three advanced certificates from the American College in Bryn Mawr, Pennsylvania. Additionally, Michael is a member of The Nautilus Group, a service of New York Life Insurance Company, Nautilus Plus, Eagle Strategies LLC, a Registered Investment Advisor specializing in estate, financial and business planning matters, and Eagle Strategies Plus. Michael’s experiences resulted in many unique opportunities to collaborate with some of the nation’s highest regarded professionals from many disciplines – legal, tax, financial, and business planning matters; serving on boards as a guest speaker, or other collaborative efforts. Joe is my son-in-law, US Marine Corps; Taylor is my daughter, an RN; Aria is 4 and Eleanor is 1.